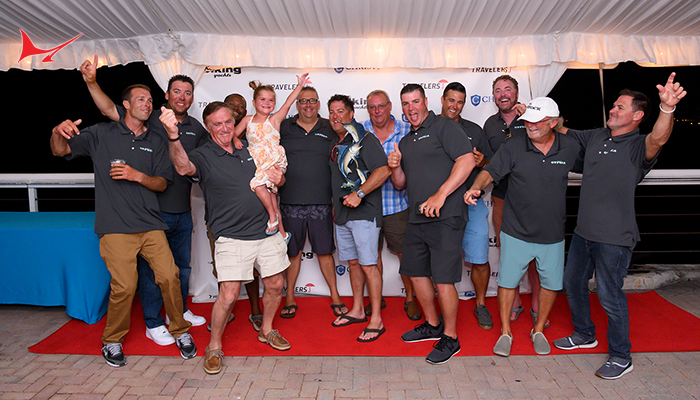 April, 5, 2016 Hosting their first annual Sailfish Shootout in the Grove, Skip’s Tournaments and Crook & Crook converged at Monty’s in Coconut Grove with a kick-off and awards ceremony to commemorate the event, which is sure to go down in Miami history as the “hottest sailfish bite of the 2015-2016 season,” says JICHI team member Captain Jimmy David. Southerly winds prevailed as the JICHI team, led by Capt. Gene Lebron, deployed their deadly three-kite spread to win the second place daily on day one with 11 releases. 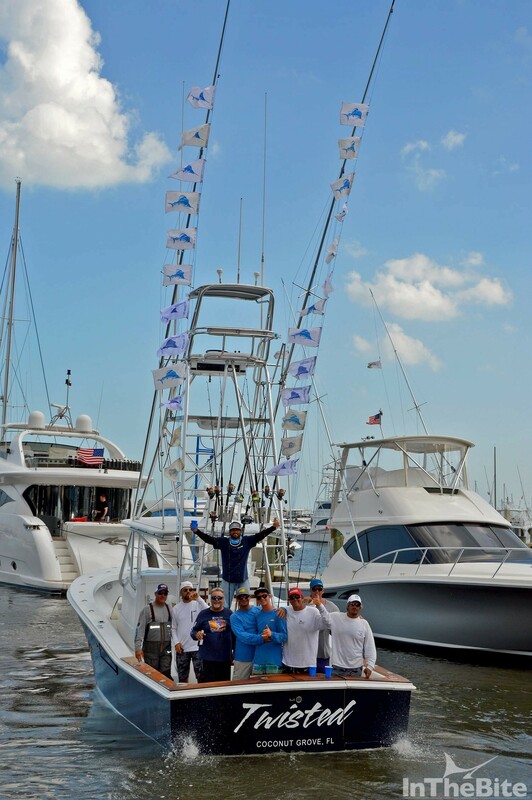 Capturing another 14 sails on day two, with a 21.5- pound dolphin kicker, the team finished first place in the tournament for a nice payout of $27,350 – making this back to back wins for the JICHI team with 25 and 18 releases in the Sailfish Shootout and the Sailfish Challenge, respectively. 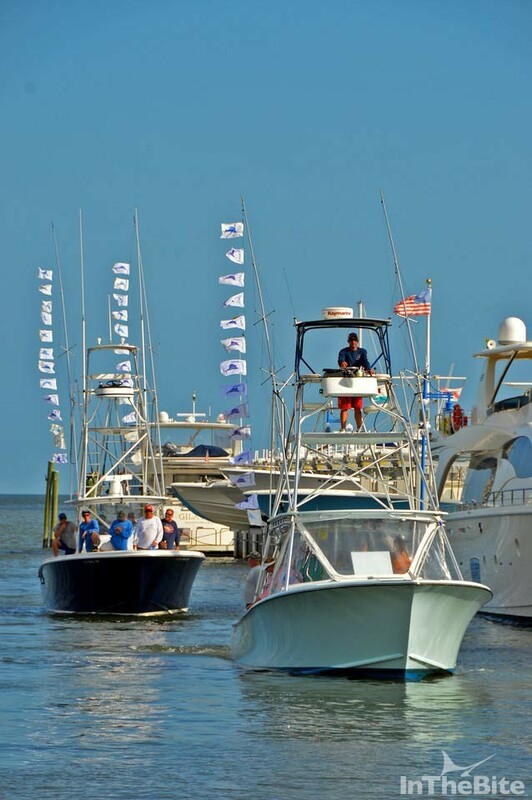 But on day one, it was all Cap Hinckley and his 60 Hatteras team FISHTALES who wowed the fleet with an amazing 15 of the day’s 78 sailfish releases. Hinckley kept his team in the money and by the end of the day, they netted a cool prize check for $21,000 and a second place overall team award. 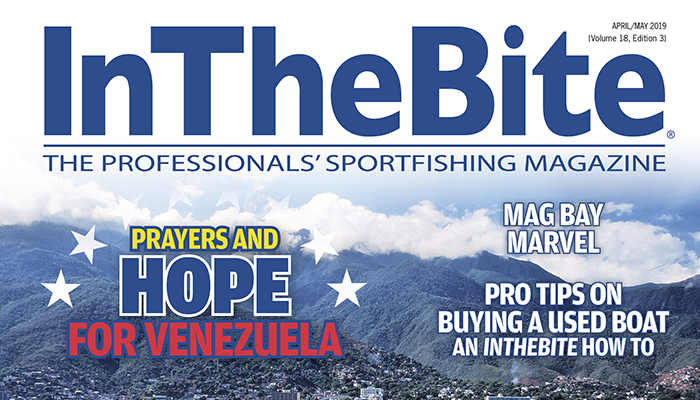 The bite got even better in the blustery conditions on day two, which was evident by the 10 o’clock hour when a reported 43 fish had been caught. The 58’ Merritt WEEZ IN THE KEYS dominated the early morning with nine releases and Captain Chris Zielinski added another six fish in the afternoon taking the second place daily and $16,000. 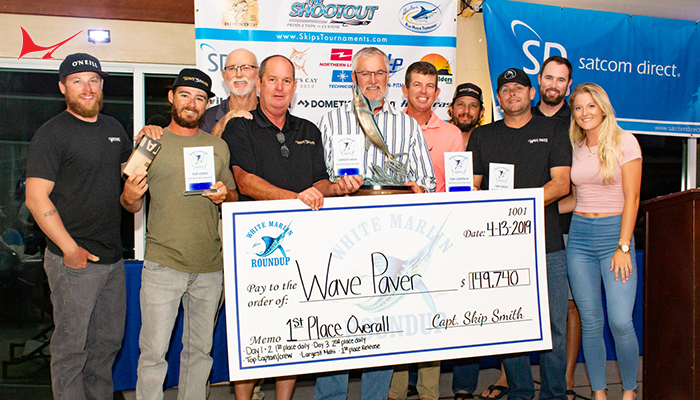 By midday, Captain Nick Carullo’s SeaVee team FISHLESS, which had been on a steady southern pick, took advantage of the northern fleet’s lull by more than doubling their fish count by the call of lines out – sending them to the stage with a check in the amount of $21,000 as the day two daily winner with a total of 17 releases – a total of 24 for the tournament – making them the third place overall team. 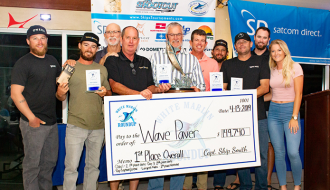 The relentless hook-up calls 15 minutes before lines out signaled a last-minute flurry, which Sea Hunter team ONE UP capitalized on by making their lines-out triple count for first place in the outboard division. 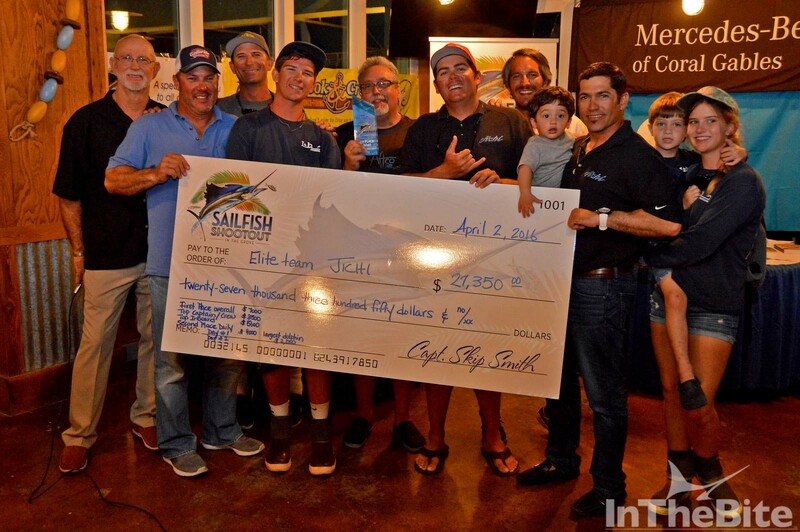 Captain JC Cleare and his team also weighed in the only tuna for the tournament for a total cash prize of $7,000. Capt. Skip Dana of the Revenge LT team CRESCENDO took second in the outboard division and weighed in their 27.1-pound smoker king for a not-so-shabby $4,050. 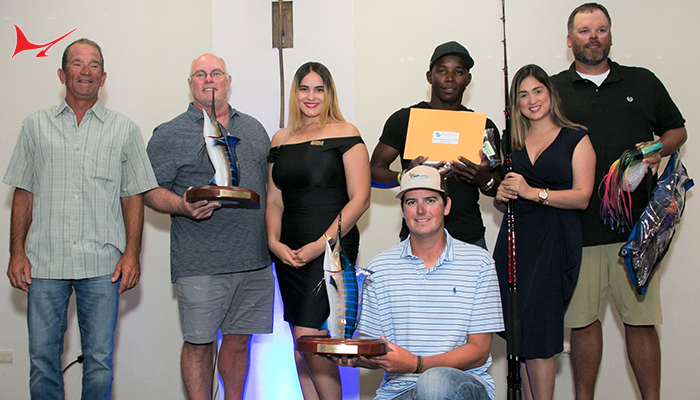 At the awards banquet, tournament director Captain Skip Smith and assistant director Jen Copeland recognized with commemorative plaques their sponsors: Crook & Crook, Shimano, Cuda Brand, Costa Sunglasses, Smith-Merritt Marine Insurance and Mercedes-Benz of Coral Gables. Captain Smith also thanked the staff at Monty’s Raw Bar in Coconut Grove for their hospitality, good food and impeccable service. 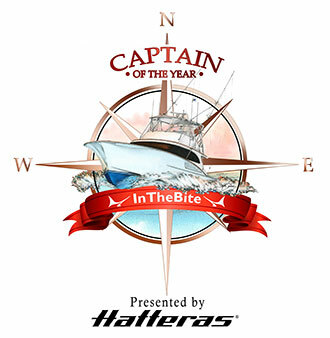 Captain John Louis Dudas and his daughter, Caylee, were there to accept the top lady angler award on behalf of Ms. Sandra MacMillan of Spencer Yachts team SANDMAN, and the WEEZ IN THE KEYS crew accepted the top angler award for owner Scott Robins. Special honors went out to Captain Mike Puller’s all-junior angling team – on the Key West #1 LISA L – who undoubtedly held their own with this all-professional fleet. Puller led his juniors to a total of ten sailfish releases without assistance. 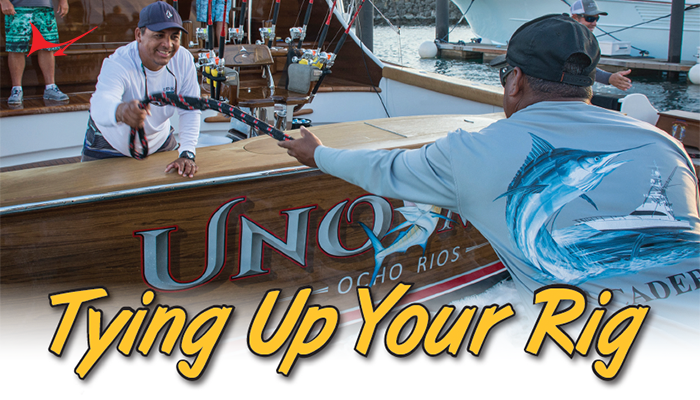 Since 2004, Puller has run the “Summer School of Fish” out of Key Biscayne, teaching young anglers, ages 7-15, the same necessary basics used by professionals while emphasizing safety and responsible fishing. His son, Max, took top junior angler on time with three releases, while second place junior Filipo Sbroggio also had three releases. JP Ponsard was named third place junior angler with his respectable two sailfish releases. 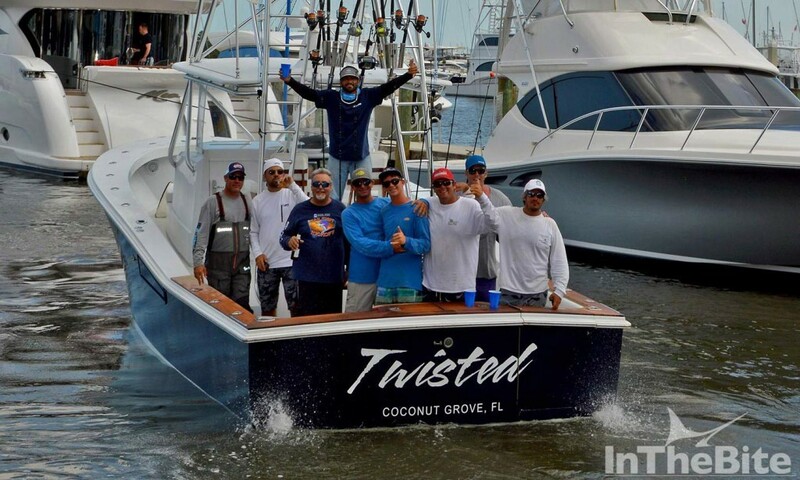 The Skip’s Tournaments committee, with KC and Lilly Crook, would like to thank the participating teams for their commitment to the Sailfish Shootout this year considering the proximity to the Final Sail in Key West. 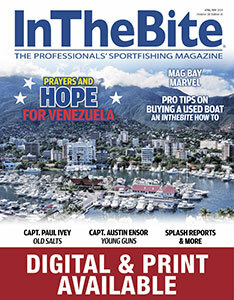 Captain Smith is confident as word spreads of the fantastic fishing conditions, top-notch competition and talk of a possible series, that next year’s Sailfish Shootout could double in team numbers, bringing in serious sailfish competition and large sums of money to be had for the taking.